I have been running for about 10 years now, and I’ve learned quite a bit over my high school and college careers that I thought might help out those of you who want to start running. 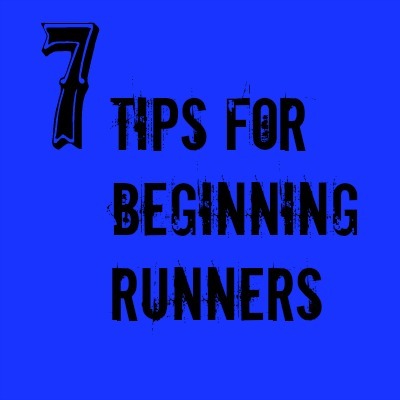 These tips can apply to any level of runner though. If you have never ran more than a mile in your life, please don’t try to run 3 miles for your first run. You will hate it and not want to run again. And you really won’t want to run after experiencing the inevitable soreness you will feel days after (veteran runners still get sore when they start back up too!). So if you’ve never ran more than a mile, start with a mile and run a mile for a week. The next week run a mile and a half and the next week run 2 miles. Start slow and make small increments. The first two weeks are always the hardest and if you can get past those 2 weeks it will get easier. I promise! I cannot stress enough how important it is to run on a consistent basis. After 2 weeks of not running you are pretty much out of shape. Yes, you have muscle memory that will make it easier to start back up, but trust me you do not want to go back through the 2 weeks of muscle soreness if you can avoid it. Try to run enough so that you never have 3 days in a row with no running. This means running every other day or every two days. If you do go three days without running though it isn’t the end of the world. I ran on concrete for four years in high school and then for over half of the runs I did in college. I was injured a lot. This is not to say that you won’t get injured if you run on softer surfaces (like dirt and grass), because you still can, but it is way easier on your joints and legs to run on softer surfaces. It has been studied that when you run, the pressure you put on your joints can be up to 3 to 5 times that of your body weight. So, if you weigh 100 pounds, you are putting 300 to 500 pounds of pressure on your joints. That added with the hard surface of concrete and asphalt can add to a lot of pressure on your joints. I suggest trying to find trails or dirt/grass paths or parks to run at. Tread lightly my friends! Stretching is key, especially during the first two weeks of training when your muscles get really sore. It is not recommended to stretch your muscles when they are cold, so I suggest either warming up (easy running) for at least 5 to 15 minutes and then stretching (if you want to stretch before you get into your run), and stretching after you run. If you warm them up first or stretch after your run, your muscles will be warm and more flexible. This will allow you to get in deeper stretches and it will make it less likely for you to hurt yourself while stretching. In running, there is no equipment beyond the shoes you wear. I highly suggest that you buy the top of the line shoes. They can cost a pretty penny (I go to specialty running shoe stores like Snail’s Pace, Runner’s High, or Roadrunner Sports), but they can really make a difference in your form (which helps to keep you injury free) and the health of your joints and ligaments. At specialty running shoe stores they can also properly asses your gait, stride, and foot type so that you are buying the correct shoes for your body. To save money, I buy my first pair or two at the store, and then purchase the same model online from Amazon for a cheaper price. I talked about my Saucony Ride 6 shoes before that I got for 65 bucks on Amazon, but I didn’t tell you that I had bought my first two pairs for 120 dollars at the store. They are discounted because there is a new model out (the Ride 7). If you can afford the cost, I would say top of the line shoes are one of the most important things for runners. The long runs can be built in gradually, or not at all. You can also add in a day or two of interval training after you get your base mileage established. For instance, if you want to be able to run 4 miles at a good pace, work up to 3.5 miles and then incorporate long runs into your schedule and one day of interval training (ex. warm – up then do 5 minutes at a steady pace followed by 4-5 minutes easy running for 3 to 4 sets, and then cool down). As you can see, your plan can be complicated or very simple, it’s all up to your goals and how seriously you want to take your running routine. In terms of goals, it’s nice, but not necessary to follow the SMART goals approach. I talked about it here. If you do get injured, which I hope you don’t, it’s always best to follow the acronym RICE. It stands for rest, ice, compression, and elevation. So stop running and rest your injury, ice the problem area with an ice pack and wrap (for compression), and lastly elevate the injury above your heart. If you do ice and heat, always use ice before heat. To help you remember, just think that we call it IcyHot for a reason (ice before heat). I hope these help and that running seems a little less intimidating! You can always email me for advice! I still remember when I was a beginning runner and the world of running was so fascinating and inspiring (check out the story of Steve Prefontaine if you’ve never heard of him). I hope you can find a little inspiration from this sport and become less stressed through exercising.